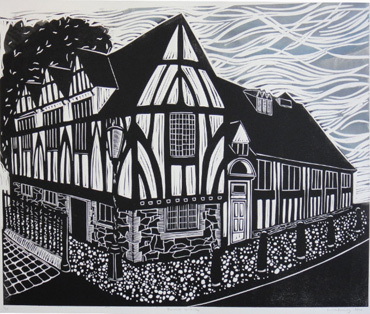 Sarah Kirby's linocut prints are inspired by her love and knowledge of Leicester’s architecture, and the buildings significant to the city's history together with personal landmarks close to her Leicester home. 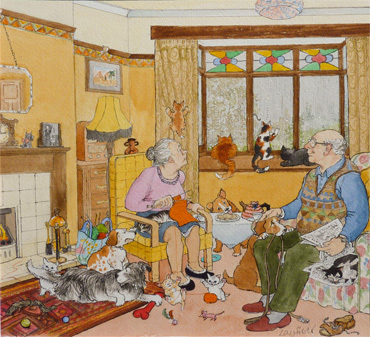 Sarah has been a member of Leicester Print Workshop for 25 years, and it is where she produces her original linocuts. In 2012 Sarah spent a year as Leverhulme Artist in Residence with the Centre for Urban History at the University of Leicester. With access to the University library and special collections, she studied the architecture of the city’s manufacturing past. These buildings tell a story about the rise, fall and re-invention of Leicester’s industries, several of which are included in this exhibition.